How it will affect children throughout their life. Good communication will help children to know how to make and keep friends. There is an unconscious dynamic process that goes on with parents and their children. It is an internal process; it is there whether you are aware and whether you understand it or not. Imagine a circle representing you the parent, and your child as another circle overlapping yours. The green circle represents the parent’s experiences and personal life events while growing up, you. The white circle represents your child, and your child’s feelings. Within the parentheses represents a new structure that the parent-child relationship creates; New experiences. This is a new invisible entity so to say, a creation of a subjective other, something the parent child couple create while interacting and relating to one another. If you put two parents in the picture, the second parent represents a third circle, and things get that much more complex. Children identify with their parents capabilities. Do we want our children to take on our intentional and thoughtful behaviors, and tolerant and patient ways? (Our love and passions for life? Our good work ethics?) Or do we want our children to take on our intolerant, impatient, disorganized ways? Who we are as parents gets internalized by our children. We as parents need to be a container to hold our child’s emotional experiences until they can take on this role themselves. That is an interesting idea. What does it mean? It means that we calmly listen to our children’s feelings and contain them since feelings can overwhelm children. We need to tolerate their feelings so they can learn to tolerate their feelings. And sometimes feelings are angry feelings that push a button within us, but we need to tolerate them and stay calm and in control. We need to let our children borrow our Ego Strength (Sigmund Freud). Ego Strength helps us maintain emotional stability and cope with internal and external stress. What if the parent is not able to help their child to do this, and instead their own life experiences and events are full of unresolved anger and chaos? So the green circles (the parents) are full of unresolved feelings from their life experiences. Well it will not be good. I am trying to help you to become the best parent you can become. If you find that, you have unresolved feelings and life experiences within yourself and within your family, you need to take responsibility and seek support for yourself. You need to get the support to transform you into the parent you want to be. Parents need to explore and understand their own experiences as children. Only then can you bring the right life skills to your children. There is meaning behind a child who is acting up. So looking at the above circles we can begin to understand how the child learns to exist and behave. Children live what they learn. If your child pushes an impatient, angry, or disappointed button within you, what does that mean? Your children may push a happy button, what does that mean? And how can you create more of that together? What can we do as parents to create wonderfully healthy new experiences, the place that is within the two parentheses above? That new invisible entity so to say. Help your child soothe, and be in control of themselves in healthy ways. Encourage your child to listen and be comfortable with responsible adults. Promote your child’s unique style of talking about their feelings and what really matters. Protect your child’s enthusiasm and love of life. Guide your child in their relationships, with playmates and with friends. Help your child to pay attention and to love learning. Help your child to accept their physical appearance and to feel comfortable in their body. Encourage your child to think ahead and weigh the impact of their actions of self on others. 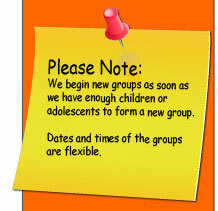 Inspire your child to develop the capacity to be part of a group and not lose their individuality in the process. Expect your child to be grateful and, thereby nurture their faith and spirituality.